The Lockheed F-16 formation of four soar over the USAF Academy for a Memorial Service in 1983. 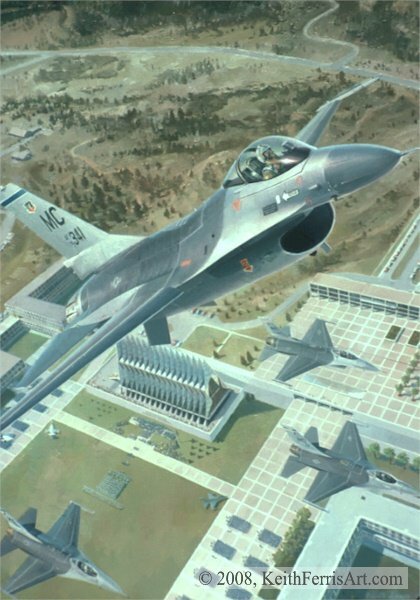 A wingman pulls heavenward out of a formation to leave the movingly empty missing –man slot as a flight of four F-16s fly over the Academy during a memorial ceremony on September 24, 1983. All four pilots were graduates of the Academy from the 56th Tactical Training Wing based at MacDill Air Force Base, Florida.